An Apple iPhone with a broken screen is a familiar sight. A TINY Australian start-up is taking on Apple over the lucrative iPhone and iPad repair market by making it extra convenient for users to get their device fixed. 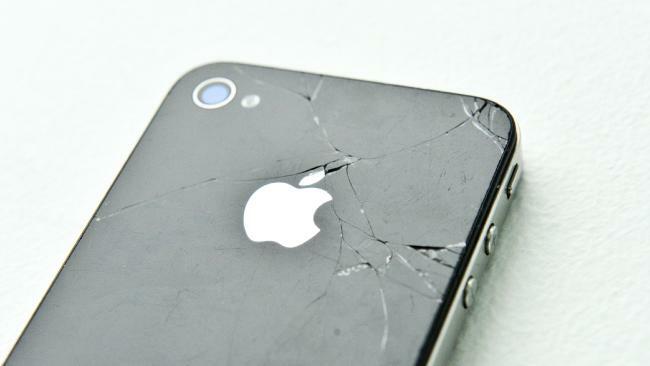 While some have tried to make the argument that a cracked iPhone screen is a modern day status symbol - it's probably something you could do without. But instead of having to book an appointment with the Genius Bars at a nearby Apple store to get your device fixed, you can book a mobile repairer to come to you. That's the premise of Fix2U which claims to be Australia's first nationwide on demand iPhone repair service. Co-founders Sam Walker and Rex Scrivener started building the platform in late 2015 and launched in Sydney in March 2016. The company is now operating in 10 locations around the country with 16 contracted repairers and claims to have enjoyed close to 300 per cent growth in revenue since inception. Mr Walker is a British expat and former investment banker who started an IT services company in Singapore where he met his Kiwi born co-founder who worked in the medical devices industry. 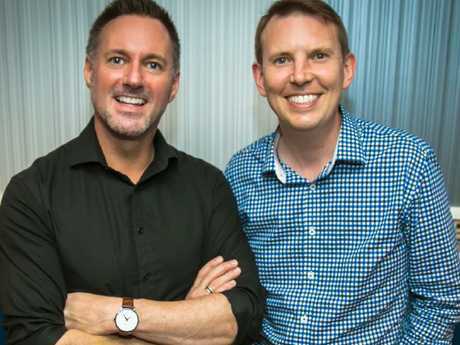 The pair eventually started the repair business after they had the idea during a trip to Bali where Mr Scrivener broke his phone in a motorbike accident. "That night Sam and I had a discussion about getting dinner delivered and I made a joke about how convenient it would be if the delivery guy could also fix my phone as I was too injured to venture to the shops," Mr Scrivener said. Since then they've worked to develop a more convenient way for iPhone users to get repairs done on their device. Sam and Rex started the company after Rex broke his phone while on a trip in Bali. Repairs carried out by Fix2U come with a five year warranty and if their repairers can't fix it, they don't charge you. The repairer, who works as an independent contractor, takes a lion's share of the repair fee and Fix2U takes about $15 per successful job. The company currently offers services for iPhones and iPads, including repairing broken or cracked screens, front or rear facing camera problems, issues with charging or the battery, sound or microphone glitches and water damaged devices. However, problems resulting from water damage tended to have only a 50/50 success rate when it comes to repair, Mr Walker told news.com.au. "When you water damage your phone you really need someone to open the phone and look at it ideally within 12 hours," he said. "In some respects, our service is great for that because people can book online and have a repairer come to them the same day. "I would say in more than 95 per cent of cases we repair the same day and in CBD locations we sometimes get there in as little as 20 minutes." Prices start at just $89 for a screen replacement, which Mr Walker says is the company's "bread and butter", with the majority of phone repairs taking less than 30 minutes. Comparatively, if you don't have AppleCare+ getting your iPhone screen replaced by Apple will cost $228.95 or more if you have a larger 'Plus' model or iPhone X. "Our prices are very competitive and if you add in the convenience that we come to you, it means you can carry on doing the things you love while your mobile phone is repaired, at your home, work or even your favourite cafe," Mr Scrivener said. 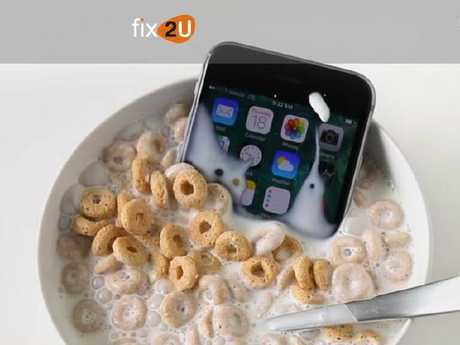 Fix2U is Australia's first nationwide on demand iPhone repair service. Apple has been keen to maintain its tight grip of the iPhone repair market and has come under heavy criticism for being unwilling to allows its customers to more easily repair its devices. In the United States, the tech giant is actively fighting against legislation that would give consumers and third-party repair shops the legal right to purchase spare parts and access service manuals for Apple devices. "We would have been keen to have been an authorised Apple repairer but they've locked that down," Mr Walker said. "That option just wasn't available to us." Lisa Jackson is the Vice President of Environment, Policy and Social Initiatives at Apple and says the company's strict approach to repairs is about quality control. "We run our own repair programs and then authorise and certify repairers. The question is in a device that is increasingly complex, what is best for the customer? "Third-party, unauthorised repairs are exactly what they sound like," she told news.com.au in November, suggesting they would make the devices less secure and even jeopardise their longevity. "We want to make sure repairs are done correctly," Ms Jackson said. It's also worth remembering that any unauthorised third party repairs could void any Apple warranty covering your device. Is Apple HomePod smart enough?